Los Angelenos face a fiery surprise Monday morning. A massive inferno engulfed an apartment complex early Monday morning, shooting flames and smoke into the air, reports the Los Angeles Times. More than 250 firefighters were called to the scene to battle the blaze, which can be seen for miles, and two of the city&apos;s major highways are now closed. 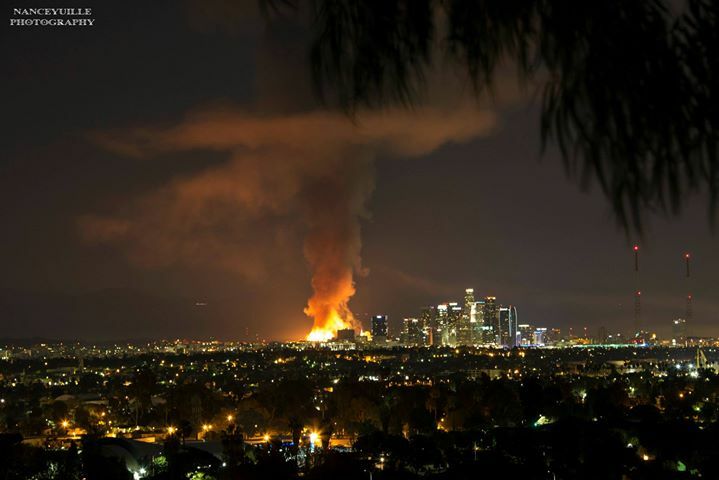 "It&apos;s huge," a firefighter told the Los Angeles Times. The fire, which started around 1:30 a.m. Pacific time, swallowed a seven-story apartment building currently under construction. No injuries have been reported so far.